Primont Homes has filed an official plan amendment with the City of Vaughan for the construction of a residential community on Islington Avenue north of Steeles. The project, called SXSW Condos, will be built in the community of Woodbridge. 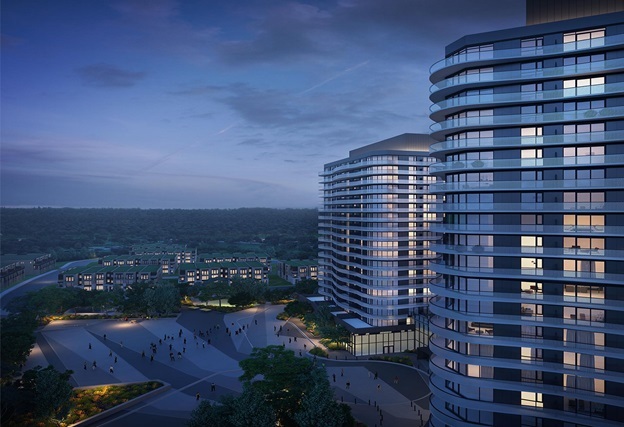 The developer is seeking re-zoning to build four residential towers and 11 townhouse blocks on the 31.5-acre site, according to report by UrbanToronto. First phase of the project includes towers rising 19 and 22 storeys from a shared three-storey podium with 379 units. Meanwhile, 135 three storey townhome units will be constructed toward the west side of the community, while two towers with 384 units are proposed as a second phase on Islington Avenue. There will be a three-level underground garage to house 1,090 parking spaces. The development does not include retail or office spaces.